Be obsessed with the beautiful and popular music, music playlists and music videos on Myspace, however, can’t find an appropriate method to download Myspace music because Myspace does not provide download option? 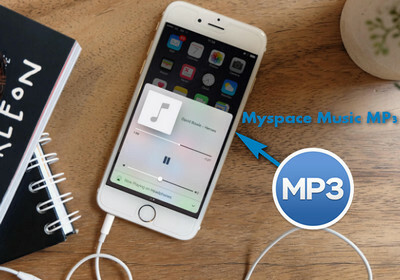 Don’t worry, this article will give you 2 simple methods to download Myspace to MP3 so that you can play them offline with better device compatibility at the same time! At first, downloading this effective Myspace MP3 downloader to start your work! Myspace is a popular social networking website where users are able to post and upload their blogs, photos, videos, music and so on. As a loyal user of Myspace, my favorite part is the music section of Myspace where has abundant beautiful music and music videos. Actually, I always wonder whether I can download the music video for offline playback and enjoyment when I view Myspace online. And I finally HAVE got 2 workable methods to download and convert Music to MP3. In the next part, I will share these 2 methods and give you the detailed tutorial of how to download Myspace to MP3! Free HD Video Converter Factory is the best Myspace music downloader which supports to download music from Myspace with simple clicks. With this freeware, you are able to download and convert Myspace music and music video to MP3, WAV, MP4, as well as many other formats! After testing, Free HD Video Converter Factory is the most user-friendly downloader among the desktop downloader I have used. It supports to download Myspace music in MP3 with only several simple clicks. It is easy to operate for users even if you are a newbie. In addition, this software is also capable of download songs from YouTube, Facebook, etc. and convert URL to MP3, M4A as well as many other formats! Now, download this Myspace MP3 converter and follow the below tutorial to start to download song from Myspace to MP3. WonderFox Free HD Video Converter Factory does not allow to download any copyrighted videos and audios for sale, distribution or any commercial purpose! (1) Launch the Myspace MP3 Downloader, click “Download Video” button on the top of the software to pop up to the “Add New Download” interface. (2) Go to Myspace, copy your desired music video URL, then go back to the software and past the URL to “Add URL” box, click “Analyze” button. (3) After finishing URL analysis, click “Download” button to start downloading Myspace music video. 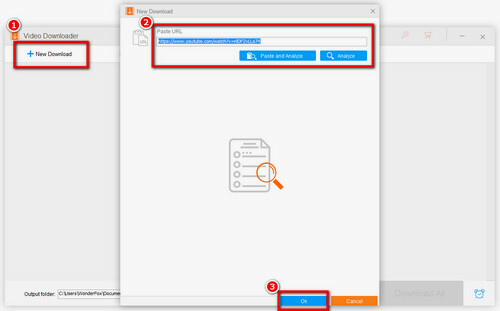 After done, the downloaded file will present on the software’s window automatically. Click “Output Format” option on the right side of the software > click “Audio” tab > choose “MP3” as the targeted format. You are also able to convert the audio to WAV, M4A, etc. Click the “Yellow File” icon at the bottom of the software to set the eventual output destination of the Myspace MP3 file. And then click “Run” to start downloading Myspace MP3. After done, you can transfer the downloaded MP3 music to your phone for playback at anytime and anywhere. 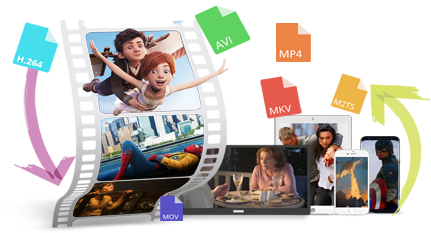 Free HD Video Converter Factory also allows to merge various video and audio files into one. It also supports to download MP3 from various sites, such as downloading Vevo to MP3, YouTube to MP3, etc. I have tried some online downloaders too. 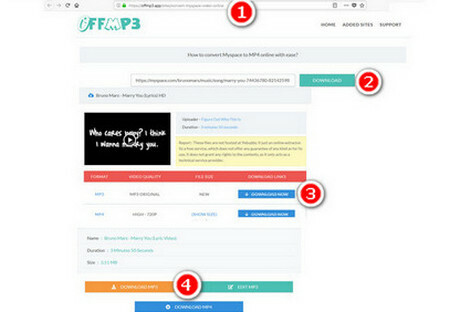 Here recommends https://offmp3.app/sites/convert-myspace-video-online to you. Step2: Copy and paste your desirable Myspace music URL to “ADD URL” box, and then click “Download” option. Step3: Scroll down the slider and find the results of URL analysis. Choose your desired result and click “Download Now” option. Step4: Scroll down the slider and click “DOWNLOAD MP3” to save Myspace MP3 to your local hard drive! There are a lot of advertisements and pop-ups when you download Myspace music MP3 online. Therefore, please avoiding clicking any advertisements and pop-ups! If you prefer to download Myspace MP3 in a safer and quicker way, I personally recommend to use Free HD Video Converter Factory more! 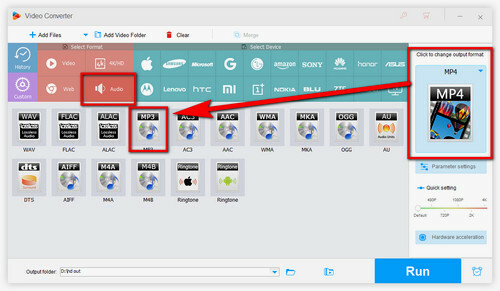 HD Video Converter Factory Pro is a powerful video & audio downloader and converters which supports to batch convert the downloaded YouTube, Myspace video and audio files to over 300 formats and devices with hardware acceleration!